Summers Towing is more than just recovery. Our auto repair services can save you from needing roadside assistance, or simply free up time in your schedule. We provide exceptional customer service and high quality work. We service most makes and models. Family owned and operated, we make certain your vehicle is in top working condition. Trust our certified technicians for car care services, brake service, air conditioning, four wheel alignment, and West Virginia state inspection. There are few things more uncomfortable than hot air blasting from your air conditioner on a hot day. If you’re tired of sticking to your seat, come see us. 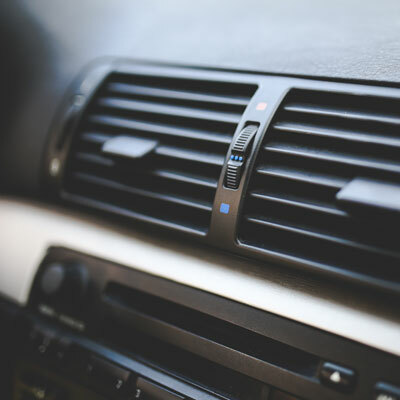 The crew at Summers can repair your car’s air conditioning system, making you the definition of a “cool customer”. We diagnose and service most vehicle types (except R-12 systems). Potholes, bumps and miles, these all take their toll on the way your vehicle’s wheels and suspension are aligned. If your car pulls left or right, chances are it’s time to bring your ride to Summers. Our alignment machine places your vehicle’s alignment back to factory specification, helping you get the most miles from your tires. Modern vehicles are equipped with many complex computer systems. Warning lights let you know something is a miss, but not much more. Left unchecked, the underlying cause can lead to poor fuel economy, and even costlier repairs later on. We use cutting-edge diagnostic tools to demystify the cause, allowing our expert technicians to get you back on the road. State law requires every vehicle receive a yearly safety inspection. This inspection ensures your vehicle is not only safe, but in top operating condition. Bring your vehicle to Summers Towing and Repair, an official West Virginia state inspection center.